Taipei is one of those destinations that (thankfully) hasn’t been found by too many tourists yet. So what you get when you visit is exposure to the true Taiwanese culture – which I loved! The island country of Taiwan is a short flight to many other Asian destinations, such as China, Thailand, and Japan. This fact makes it a great spot to stop as part of your travels on the main continent. So here is your Taipei Itinerary: 2 Days in City of Azaleas. 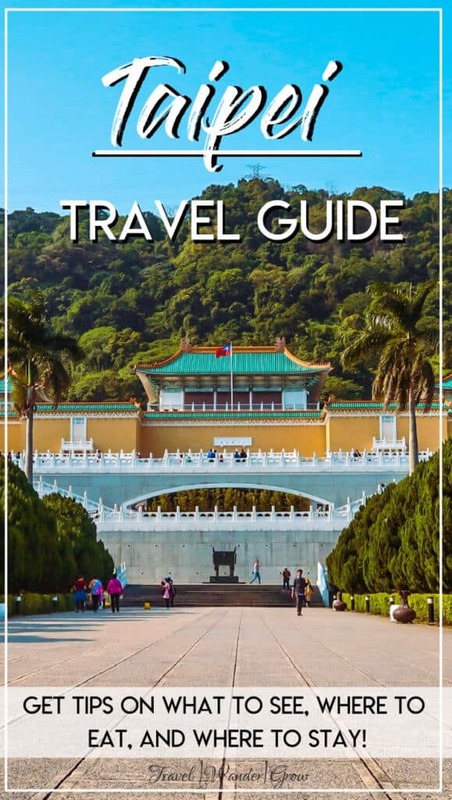 I’ll walk you through all you should see, where you should stay, and eat in this travel guide, so keep reading! Is Two Days in Taipei Enough? Compared with cities in nearby Japan and China, Taipei is a relatively new city, similar in age to cities in the U.S. East Coast. Its history begins with settlement of the Han Chinese in the area in the year 1709. This area, originally known as the Taipei Basin, was originally home to Ketagalan tribes. The city grew over the next 100+ years, having several Han settlements, as well as a foreign trade port called Tamsui. In 1875, the area now known as Taipei became part of the Taipeh Prefecture. With the setting up of this prefecture, walls were built to surround the city, with four main city gates. The structure of the city became a major focus as well, as seen through the implementation of electricity in 1885, and the construction of paved roads and a railway. Japan assumed control of the entire island of Taiwan following China’s loss of the Sino-Japanese war in 1895. Taiwan was transformed to a Japanese city, moreso than other other city on the island within 10 years. This can still be seen in much of the architecture of the older buildings in the city. Following WWII, Japan lost control of the island, and in the years that followed, Taiwan has grown in independance, officially as the Republic of China (ROC). 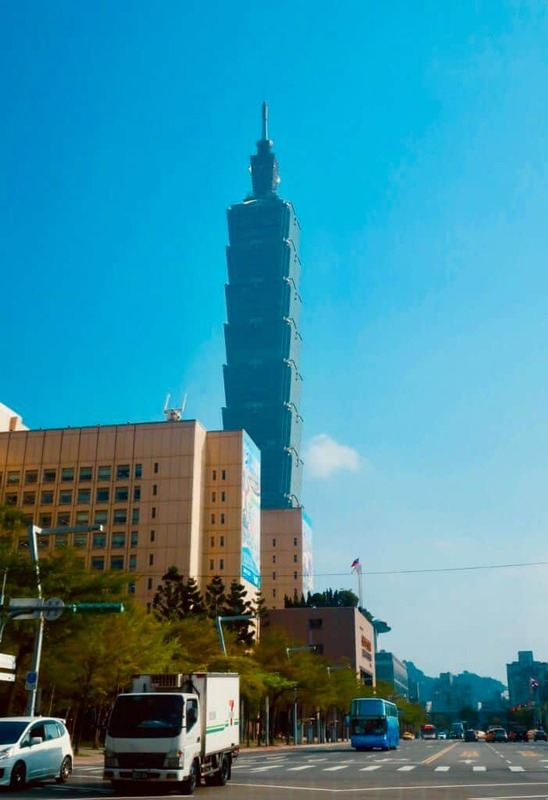 Today, Taipei is a bustling city of 2.6 million people. It is the financial, business, and tech center of the island, and has become known as a tech city globally as well. Getting There: Taiepei is serviced by two major airports. The first is the Taoyuan International Airport, which is where most flights from outside of the country reach the island. This airport is further from the main city and accessible by metro. The second is the Taipei Songshan Airport, which is typically used for domestic flights and flights to Tokyo, Seoul, and several cities in the People’s Republic of China (China). This airport is located right in the Songshan district, and easily accessed by metro as well. For cheap flight deals, I recommend searching for flights on momundo.com or skyscanner.com. Getting Around: The metro in Taipei is honestly one of the best that I’ve ever used. It is easy to navigate, all signage is also in English, and the trains run very frequently. You’ll need to purchase a metro card from the station (any one) for a small fee, and load it. 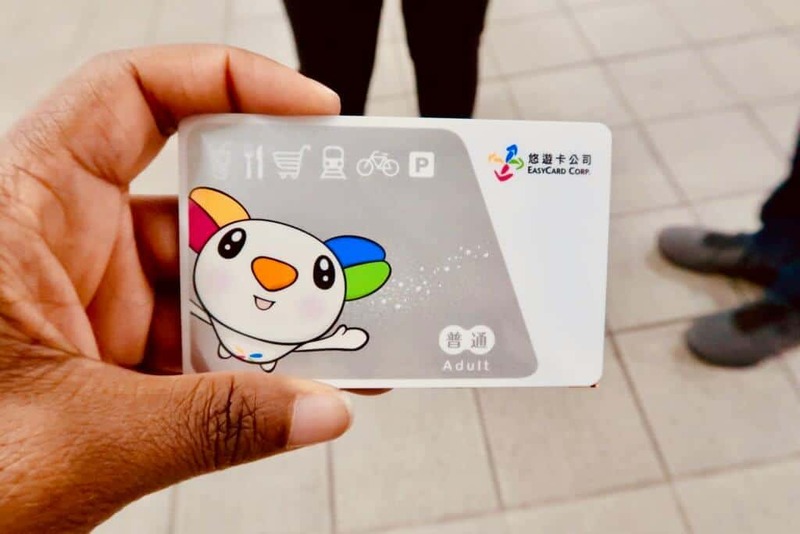 One great feature of their metro card is that you can also use it to buy from locations like 7-Eleven (which is surprisingly nice in Taiwan!). Here is a map of of the Taipei metro, for reference. For late nights, or if you are lugging a lot of luggage, uber is another great option. The cost for these is VERY low, so you don’t have to worry about spending all your money on getting around here either. Zhongzheng District – This neighborhood is centrally located in Taipei, and is where you’ll find the Taipei Main Station. As you’ve likely guessed, this is the major transportation hub of the city. 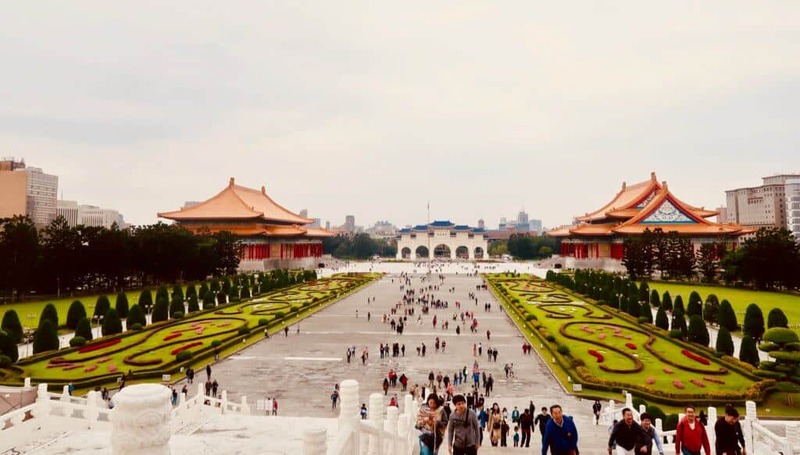 A key attraction here is the Chiang Kai-Shek Memorial Hall, which we’ll discuss more below! Da’an District – Stay here if you’re looking for a quieter stay and/or views of lots of greenery. 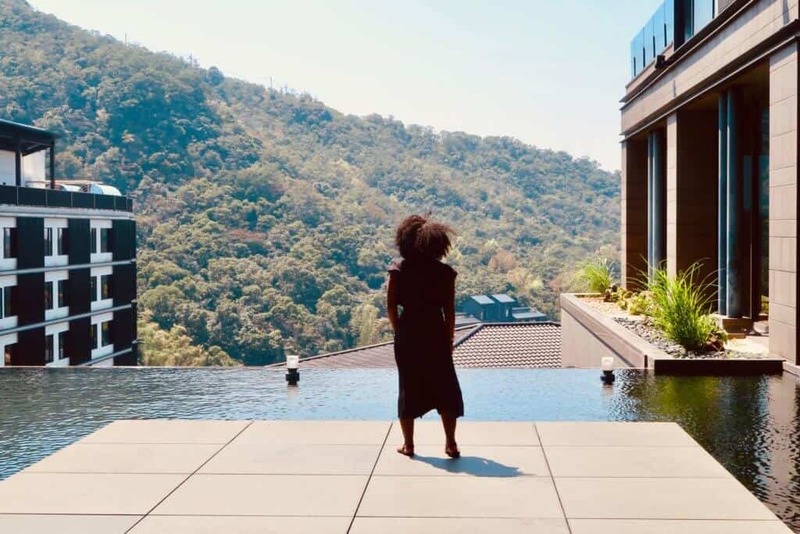 Xinyi District – This are of the city features luxury shopping options, so it’s a great option if that is what you’re looking to do on your trip. A key attraction in this neighborhood is Taipei 101, and the mall that is attached to the building. 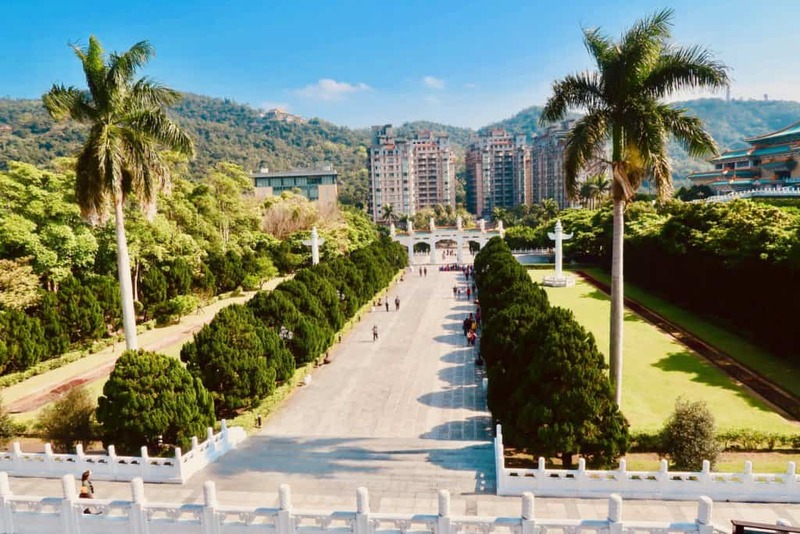 Wanhua District – Stay in this area of the city for great nightlife and food options. It also has some great historic sites, like the Bilpao Historic block as well. Zhongshan District – This district is known for providing a more traditional Taiwanese neighborhood vibe. Key attractions here are the Xingtian Temple and the Martyr’s Shrine. We stayed in this district at the Check Inn Hotel, which was really lovely. It has a cafe and offers weekly events for the temporary residents. Money Situation: Your US Dollars will go quite far in Taipei, especially when it comes to food and transportation. At the time of writing this article, the exchange rate was $1 = 30TWD. For current exchange rates, please click this link. When to Go: Taiwan has monsoon-influenced, humid subtropical climate. This means that it is pretty much always warm there – with lower temperatures being the 60s in the winter (December – March), and highs in the summer going up to the 90s. It is typically drier in the winter / cooler months, and very rainy in the summer months (May – September). If I were you, I’d avoid the summer months, but it’s all a matter of preference :). Where to Eat: Taipei is full of great food! I will have a few more posts coming just on this topic, so check back for updates. Language Considerations: There are a number of languages spoken in Taiwan, but the primary languages are Taiwanese Mandarin and Taiwanese Hokkien (aka Taiwanese). English is not very widely spoken, but people are friendly and helpful, so you’ll have no trouble getting around. I do, however, recommend that you take the time to learn at least a few Mandarin phrases while there. See this Mandarin language guide for some tips. Getting to know more about the city you’re visiting is always a great way to start your visit to a new place. If you would like a local’s perspective as you visit landmarks on your first day, I suggest that you book this tour, as you can elect the locations that you visit. National Concert Hall and National Theater: These buildings were the first modern performing arts buildings constructed in Asia. You can witness a variety of performances in both buildings from local and interantional artists throughout the year here. For a schedule of upcoming event, check out this page. Chiang Kai-Shek Memorial Hall: This hall holds a giant bronze statue of the president, and has a similar feel to the Lincoln Memorial in DC. Also, if you come here 15 minutes before the hour, you can witnesss the changing of the guard. To visit Liberty Square via metro, use the Chiang Kai-Shek Memorial Hall metro stop. 228 Memorial Peace Park: This park was originally established as the Taihoku New Park in 1910, when the island was under Japanese rule. It was first renamed to Taipei New Park, Kuomintang authorities came into power follwing WWII. In 1947, a group of protesters took over the radio station housed in the park to broadcast the situation. This led to the event now known as the Febrary 28 Incident, where thousands of civilians were killed to surpress the protesters. Under the new democracy, which began in 1990, the government officially apologized for this event. This led to the park being renamed to the name it has today, in 1998. Its a great park to take a nice stroll through, and even houses a memorial museum onsite. 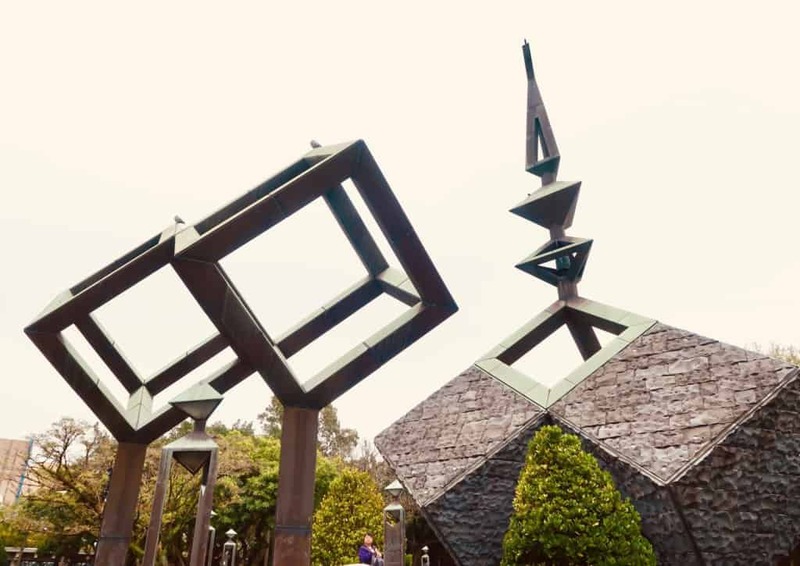 The 228 Memorial Peace Park is not a far walk from Liberty Square (5-10 minutes), and is also most closely accessible via the National Taiwan University Hospital Station. 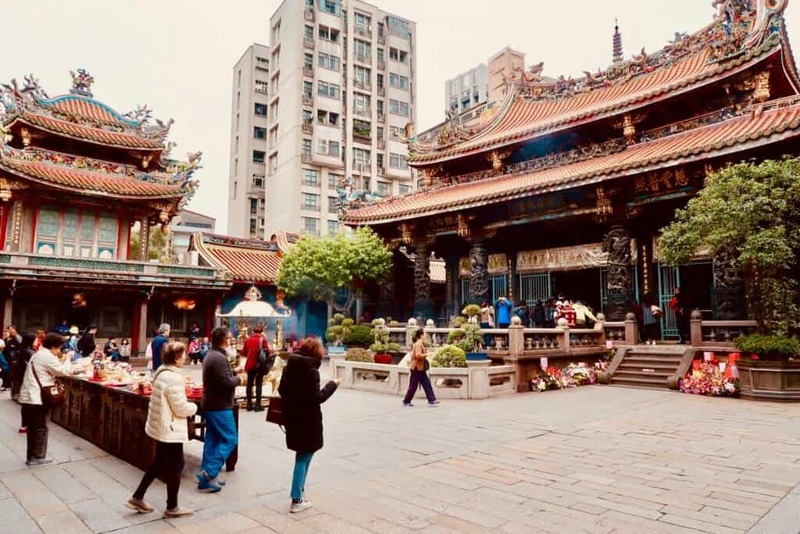 Longshan Temple: This is a beautiful temple that is still in very regular use by the city’s residents. Visit here to get a better understanding of the main religion in Taiwan – Taoism. 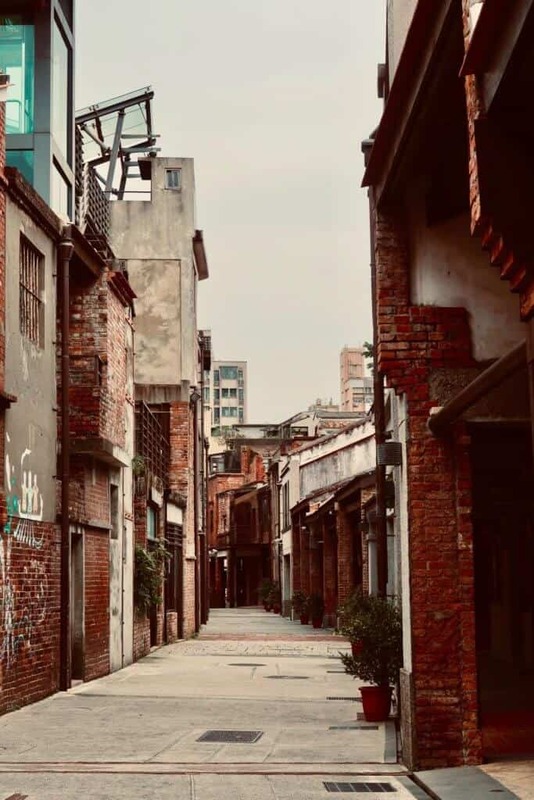 Bopiliao Old Street: This is one of the few areas in the city where you can glimpse how it looked 200 years ago. There are old school shops set up on the street, so you can actually understand the way of life in the past as well. Note: The street is not open on Mondays, so please plan accordingly. You can get to both the Longshan Temple and Bopiliao via the Longshan Temple metro station. In case you didn’t know, Taipei is kind of all about the views! So you should really plan to incorporate that into your second day in the city. Beitou Hot Spring: First, stop at the city’s hot springs to get a little relaxation in. We went to the hot springs in the Beitou hotel and were kind of treated like royalty. More details on come on this experience in a future post. Get off on the Beitou station, then exit to the right to await the hotel’s shuttle. These shuttle’s come about every 30 minutes. 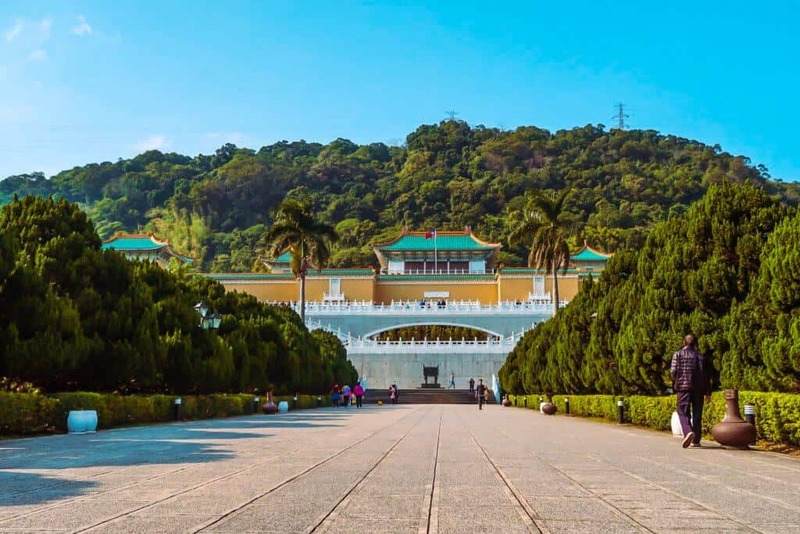 The Palace Museum: This museum is built in a very grand style – I actually thought it may have once been a palace in the past. The museum is full of artifacts dated from the beginning of Han Chinese settlements in Taiwan. If you don’t want to spend so much time in the actual museum, it is a really great place to grab some awesome shots. To get to the museum, you’ll need to stop off on the Shilin station, then take a taxi or uber to the museum. Taipei 101: Once the tallest building in the world (now the 10th), Taipei 101 offers sweeping 360 views of the whole city. I recommend taking the trip over to the building at sunset, so you can watch it happen from above. Note: The lines can get really long here, so buy your ticket in advance if you can. Also, expect to have a line to take the elevator up and another to take the elevator down. Use the World Trade Center / Taipei 101 station to get there via metro. 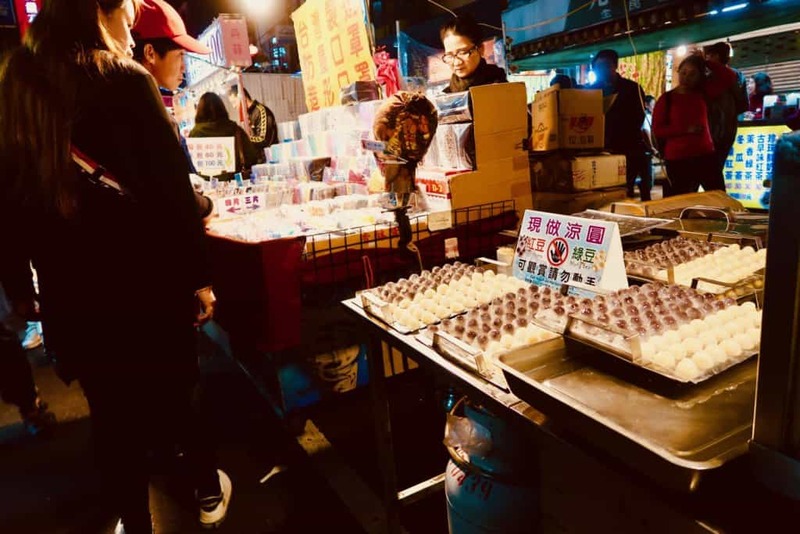 Roahe Night Market: Okay, so most travel guides will tell you to go to the Shilin Night Market, but I actually recommend that you check out the Roahe Night Market instead. This market is MUCH less touristy, and is full of delicious things to eat. I pretty much ate for 3 hours straight here – the food was that good! You can access this night market via the Songshan metro station. Shilin Area: There are loads of shops and restaurants in this area of the city. Take a stroll here to shop and eat your heart out. Taipei 101 Mall: If you are into luxury brands, this is probably the best shopping area for you. You’ll also find that the mall is serviced by a wonderful food court. Maokong: This area of the city is another great spot to see sweeping views of the city. You will take a ropeway up to the top of the mountain, and from here you can stop to enjoy some tea while enjoy the views below. Note, the area is not accessible on Mondays. My personal opinion is that you probably need a least a good four days to fully check out the city. (This is my recommendation for almost any large city). This is the amount of time that I wish I had during my stay, but I did find 2 days enough to get a nice taste of the culture (and food :)). If you are visiting during the winter / fall months, it may be worth even a short stop from China or Japan just to warm up a little bit. English is not very widely spoken, so be sure to practice a few basic Mandarin phrases before you visit. And remember, you can always use the Google Translator app on the go! Consider booking a travel guide to help you get around on your first day in the city. I like this option as you can choose which destinations you’d like to visit! If you have been to Taipei before, let me know – what did I miss? Let me know in the comments below! « Mobile Passport vs. Global Entry: Which is Best? This is such a great comprehensive guide to what seems to be an incredible city! I’ll have to make it there someday. This is a great guide. It’s well-written and rich with information. I’ll be sure to reference this when I make it out to Taipei! Thanks for writing and sharing this! Love this guide! I have never done much research into Taipei before, but after reading this post I just want to look into flights! 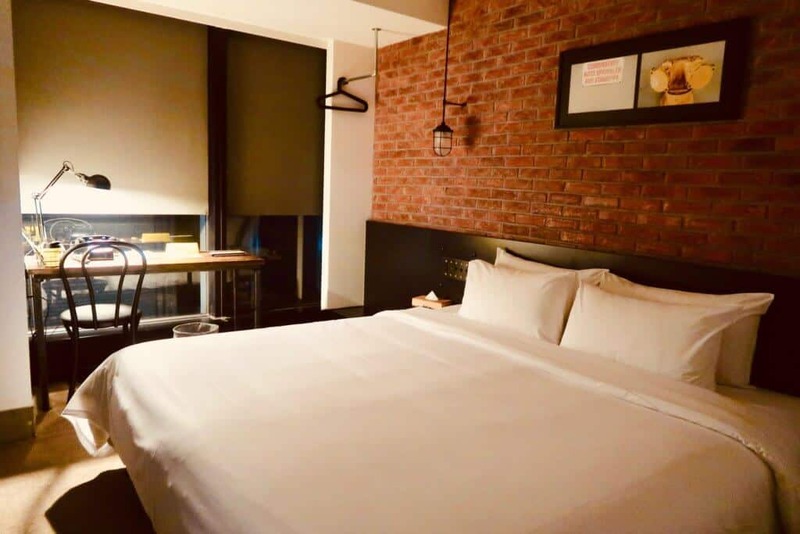 I love the exposed brick in your hotel room, it makes it much more cozy. The Roahe Night Market sounds like a great night out. The hotel was absolutely the cutest! And for $70 / night, you can’t beat that! I hope you get to visit soon, Alli! Hope you have a wonderful trip, Allie! Taiwan is so high on my bucket list! Wow – three hours of eating in the night market…might need to bump Taiwan into the number one spot then! I love night markets and if there’s enough food to eat for that long, sign me up. I’m always so grateful when people include neighborhood guides in destination posts, I have no sense of direction and things like picking hotels become stressful to me when looking at maps at home and trying to plan – so thanks for that! Great post. You’re quite welcome, Stephanie! I should also mention that the food is amazingly cheap, making it even easier to eat your heart out!